Shirts With Random Triangles: Ex-Georgia safety Tray Matthews transferring to Auburn. 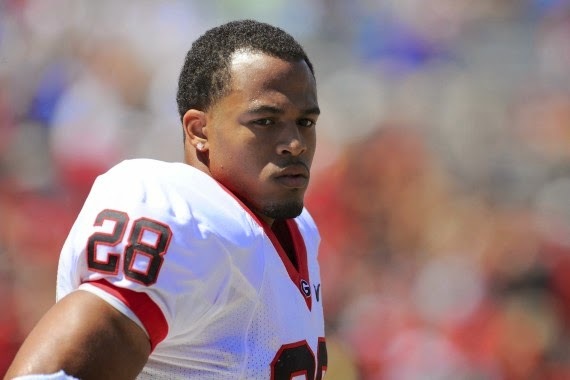 Ex-Georgia safety Tray Matthews transferring to Auburn. Former Georgia Bulldog Tray Matthews has found a landing spot. The oft-in-trouble safety had announced he will transfer to Auburn on Saturday. Matthews made his announcement via a pair of tweets on Twitter. Matthews was dismissed from the Georgia football program on June 2 following an incident in a University of Georgia classroom. He had previously been arrested on charges of "theft by deception" involving an attempt to cash a university stipend check after having digitally deposited it using a smart phone app. He was placed in a "pre-trial intervention program" shortly after his dismissal from the team. Matthews will have to sit out the 2014 season as per NCAA rules.